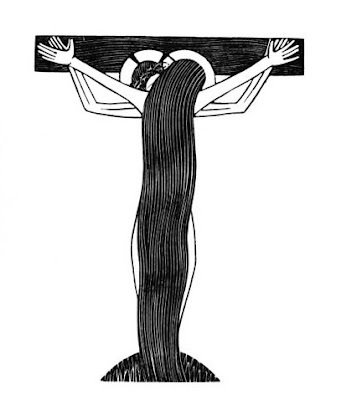 Nuptials of God by Eric Gill. At about the time The Quest for Mary Magdalene was published, just before Easter, I was emerging from Marylebone Railway Station and took the opportunity to cross over Gloucester Place to Dorset House. 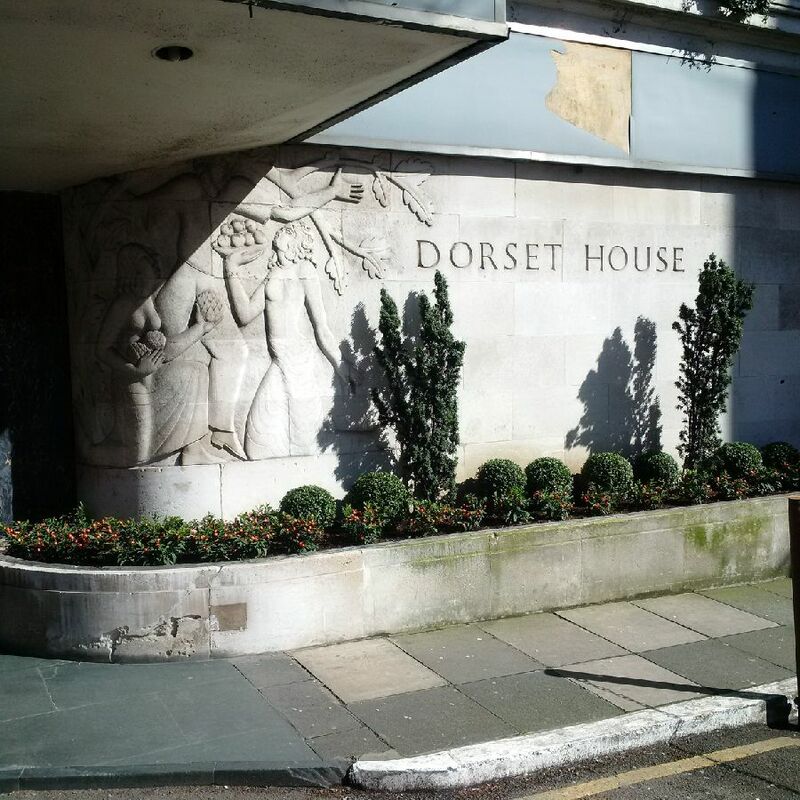 An art deco block of 185 flats built in 1934-35, Dorset House is now a Grade II listed building on account of its architectural interest. The Gloucester Place entrance to the art deco Dorset House, which I photographed in March this year. Part of this interest is that the entrance on Gloucester Place is carved with reliefs by the outstanding British sculptor, designer and printmaker Eric Gill (1882-1940). Several of Gill's plates depicting the crucifixion and resurrection appear in my book. But there was also another reason why I wanted to have a close look. I had once driven past Dorset House in a taxi with an acquaintance who pointed to it and said 'My grandfather owns that'. 'My uncle built it', I replied. My uncle was the civil engineer responsible for the construction of Dorset House. And he employed my father, then in his early twenties, as his foreman. 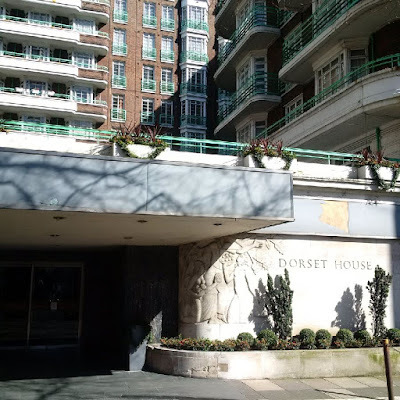 I recently came across a photograph of my father standing at the Gloucester Place entrance of Dorset House in 1935 and I wanted to visit the exact spot. 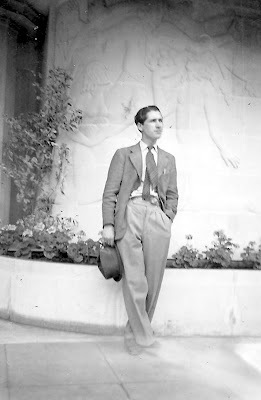 My father at Dorset House 1935. The same spot in March 2016. So there he is, my father at the Gloucester Place entrance to Dorset House in 1935. And behind him are the reliefs by Eric Gill. And here is the photograph I took of the same spot at Easter 2016. There is a satisfaction in connecting the past with the present, of joining the two in one's own moment. And there is my father, in the photograph, and in my memory, but when I stood at that spot my father was not there. Mary Magdalene enters the empty tomb, by Eric Gill.